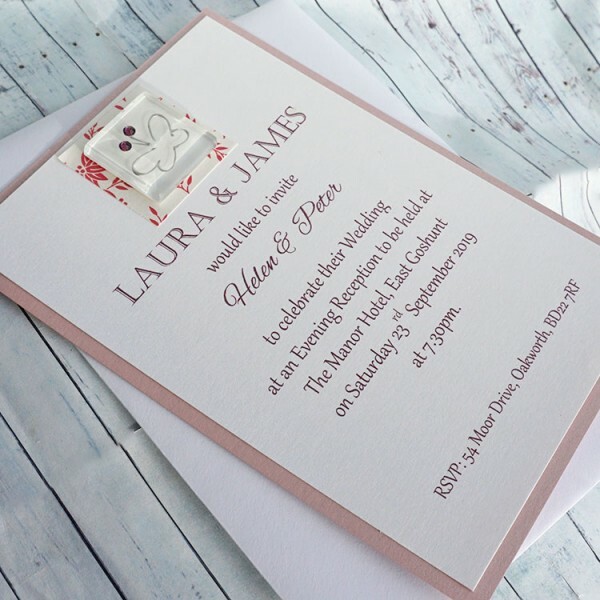 Handmade Flat or Evening Wedding Invitations "Iona"
FLAT WEDDING INVITES can be used for day or evening wedding invites and are a cheaper alternative than the classic fold invites. The IONA design is stylish and contemporary, featuring a beautiful glass tile handpainted with a silver butterfly. The antennae are embellished with beautiful sparkly Swarovski diamontes. The tile is mounted on pretty floral and pearlescent papers. 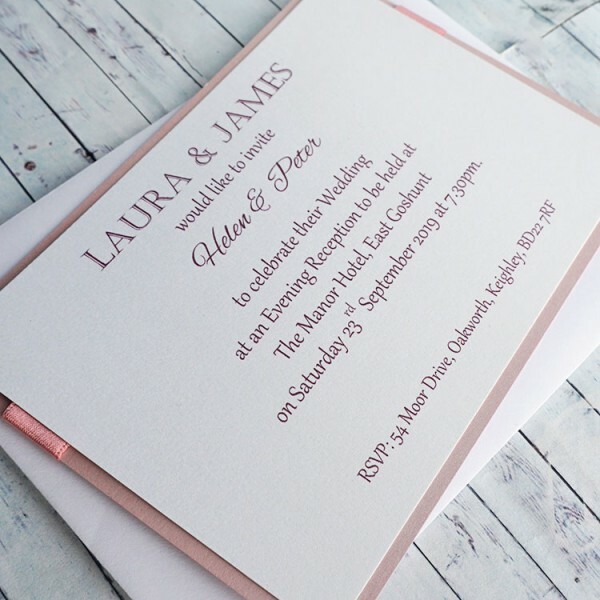 You are welcome to place an order for invites and other wedding items online. 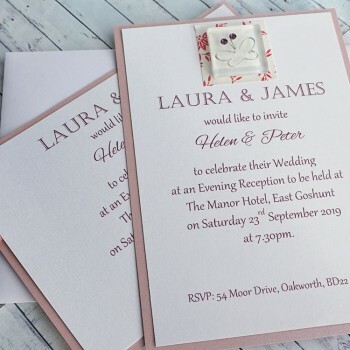 It is recommended that you order a sample first to ensure that you are happy with the colours and design. On placing an order we will contact you for your wedding details and to discuss your personalisation details (colours, wording, fonts etc) in order to make up a proof for you. This will be a hard copy proof so you can be completely sure that you are happy with your order. 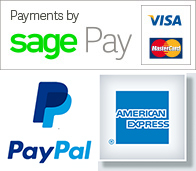 The proof must be checked, signed and returned to us before we can commence work on your order. Please allow 4-6 weeks for delivery due to the hand made nature of the products. If you require your invites sooner, please contact us to discuss the availability of earlier slots and we will do our best to accommodate you.